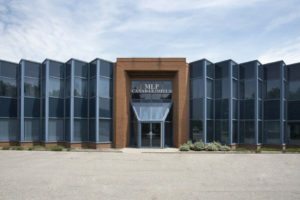 At Dancor, we always have a few options for you to consider if you are looking for Commercial building space for lease in Toronto. If for some reason we do not already have the perfect facility for you, you can rest assured that we can build you your perfect building on time and under budget. Dancor has been providing commercial construction services all over Ontario and Toronto including commercial offices, retail stores, restaurants and other commercial facilities. Some of the clients of our commercial projects we have finished successfully are FedEx, Acura, Fastenal, Goodman and many others. 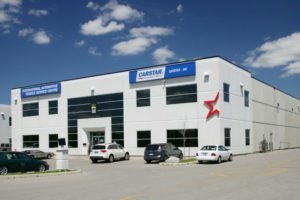 Dancor’s design-build commercial buildings and Commercial building space for lease in Toronto and Ontario are tailored directly to the tenant’s needs and requirements. Dancor’s dedication to quality, superiority towards the project and the satisfaction of our clients has given us repeat business with our happy clients as in the case of FedEx we were again selected builder of the choice for their new facility. 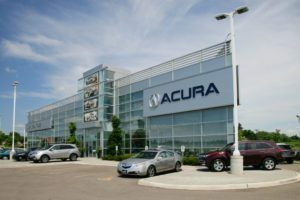 Dancor was selected to build the first auto dealer service center for Acura. The Dancor prototype is now being duplicated worldwide as Acura Global expands across Asia and Europe. This amazing accomplishment is a beautiful addition to Oakville, Ontario. An exceptional commercial facility with Customer and Client needs put ahead of all others. And as mentioned earlier, This building features Dancor’s ability to be versatile and design and build facilities of all types and sizes. we have been selected once again as the builder of choice by Fed-Ex to not only renovate their site in London Ontario. You can build them a brand new facility in Kirkland Lake. Looking for more new space? 15760 Robin’s hill road Located just minutes from the London International Airport, this property has great exposure off of Robin’s Hill Road and Veteran’s Memorial Parkway. 2240 Huron street17 acres of Industrial land located in London, Ontario. Located just minutes from the London International Airport, this property has great exposure off of Huron and Robin’s Hill Road. 2150 Oxford StreetThis site is located at the corner of Oxford and Veterans Memorial Parkway in London, Ontario. There will be 4 phases of the property. Phase 1 has been secure by design/build client EMCO and we could not be more proud to be building them their new facility. Phase 3 has been secured by Design Build Tenant- TFS who has grown with Dancorthrough over the years. 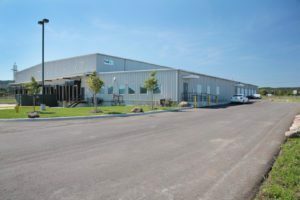 Initially occupying 3,500sf and have now grown into a new 6,000sf building which Dancor has designed and constructed specifically for their operations. 15893 Dakota place – This property is able to house a design/build project up to 93,000sf in size. For more information, you can contact us any time. We are a construction company to our core and offer a complete and comprehensive suite of building services. Whether it’s a new construction project, addition to an existing facility or renovation of an under-performing building, the experts at Dancor know how to get the job done on time and on budget, every time. If you don`t see anything with the specifications you are looking for, you can contact us and we will be happy to help you to find the right Commercial building space for lease in Toronto or sale, depending to your needs. Call us at today, we would love to hear about your next move!